ENERMAX D.F.Pressure is a high performance 12cm fan, featuring high air pressure, which is ideal for CPU coolers and chassis. D.F.Pressure incorporates the patented DFR (Dust Free Rotation) technology, which allows the fan to swiftly blow away dust in order to prolong the lifespan and APS (Adjustable Peak Speed) control to balance between cooling performance and silent operation. 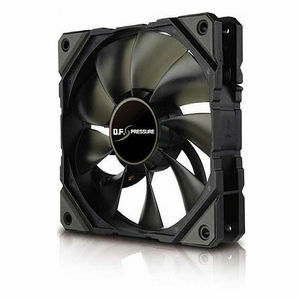 D.F.Pressure is definitely the best choice for your PC cooling systems.